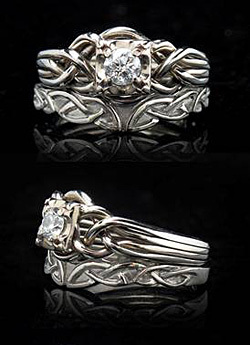 Here are several rings that were produced based on the same requested design. These are shown in the order that they were made. 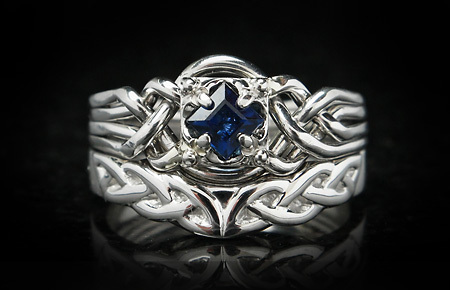 Custom Celtic knotwork shadow band #2. Looks similar to the one above, but there are subtle differences. For example, on this one, the recesses are bigger and more rounded. Number 3 was ordered based on my client seeing the first two shadow bands. His turned out markedly different, and he was very pleased with it. 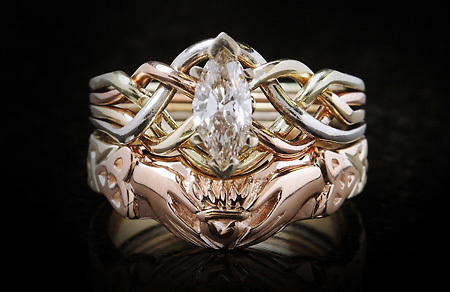 This is the one you like. 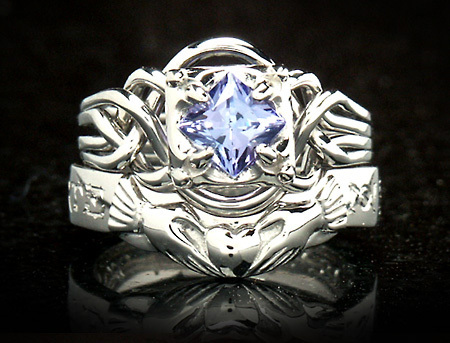 Yours will be beautiful, even if not absolutely identical to this one. 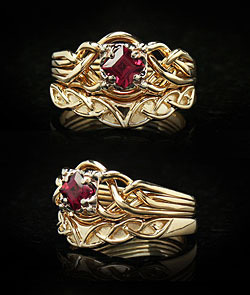 Another series of rings involves claddagh hands. 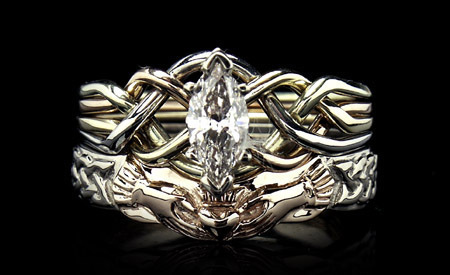 Though some details of each ring were requested to be different (cuffs or trinity knots; old crown, new crown, or no crown; engraving or knotwork on the shank; addition of stones or no stones), each ring had claddagh hands in common. 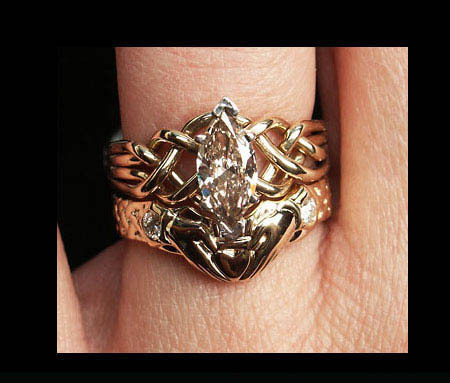 Look at how they vary between rings. 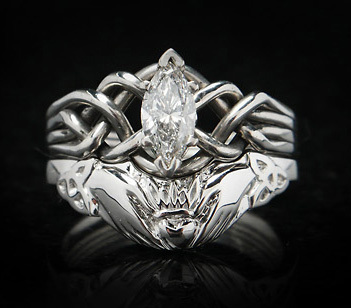 Crystal Realm – Find exquisitely beautiful Celtic-Inspired puzzle engagement rings, bridal sets, custom poesy rings and more. Devoloped by: AlterIt. Valid XHTML 1.1 and CSS 3.